This is the gem for our Black Breeding Program. 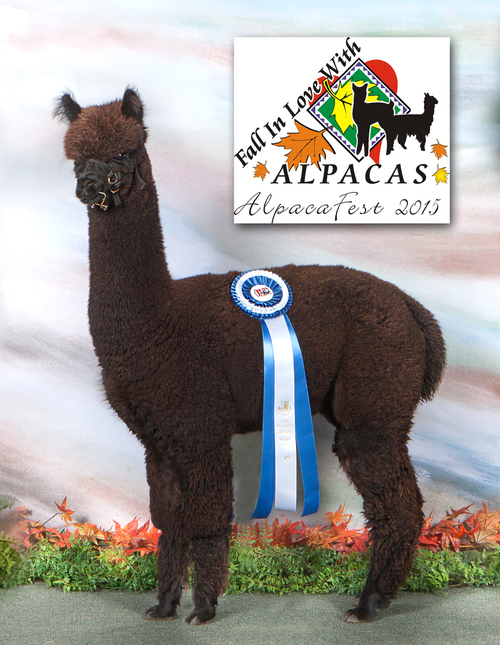 Kahoolawe has just about everything you would ever want in a herdsire. Son of Snowmass Conopa's Kahuna and Snowmass Romantic Reflections. 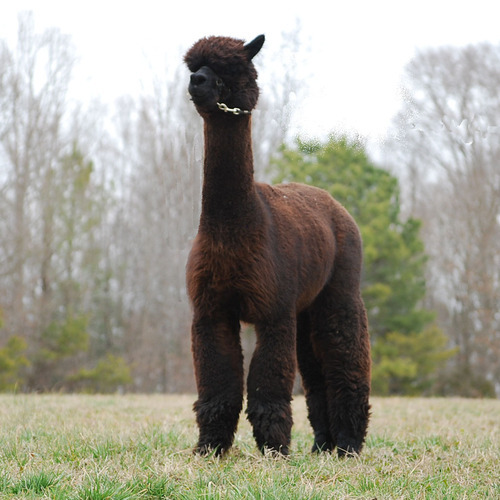 He is a strong, perfect phenotype and amazing fleece. See pics. This is an extremely dense male with uniformity throughout. Very consistent and bright fleece. How could Starr be anything but spectacular? 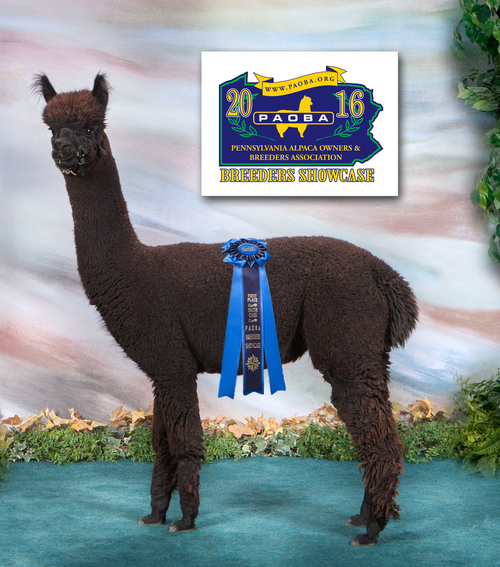 Her mother LMFI & MFI Beonka is a three time color champion and her sire A.L. 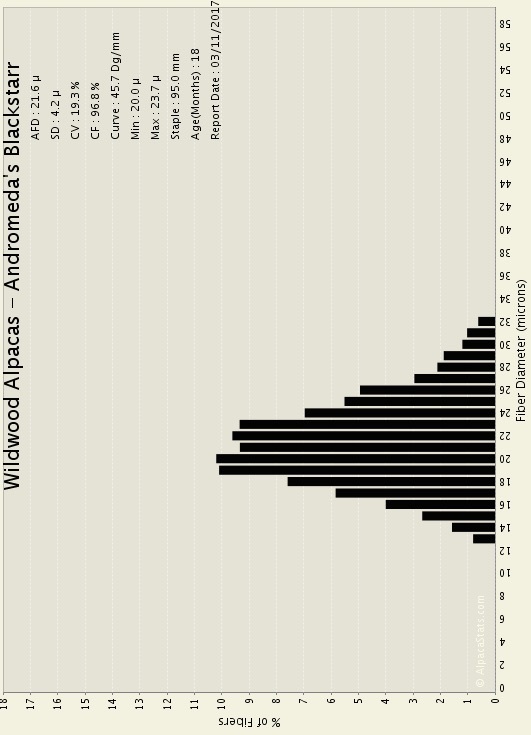 Paca's Andromeda's Galaxy (Andy) is an 11 time color champion! Starr's fleece is black, shiny and dense. 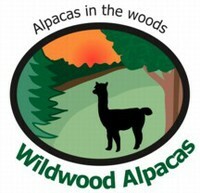 We are delighted to get a black from these two brown animals. 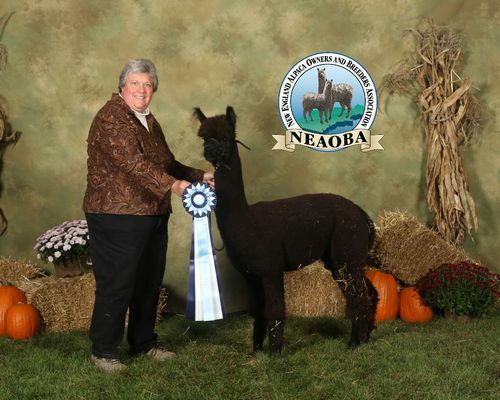 Starr started her show career in NY with a second at Empire and a third at NEAOBA in black juvenile class. 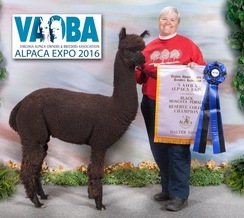 Took the blue in her next show, OABA! She returned to the ring as a yearling with first and second places in New York. At PAOBA a day after her second birthday, she easily took the Blue in 2YO. She crowned the show year with winning the Reserve Champion banner at the 2016 VAOBA Expo. 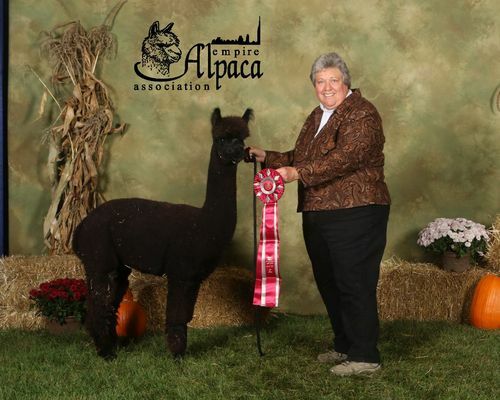 She delivered her first cria, by Revolution's Vincenzo in April 2018, a black female. She is carrying a spring 2019 cria sired by Snowmass Kahoolowe.